Six model years after the controversial, squinty redesign of the Jeep Cherokee, the successful midsize Jeep is getting an exterior makeover. Jeep released a few photos of the 2019 Cherokee ahead of its Detroit auto show debut, and lo and behold, the bizarre stacked-headlight design is gone. In its place is a more traditional setup without the thin daytime running lights. The fog light placement appears to vary based on the trim. Trailhawk versions (pictured in red) get small fogs right under the main headlights, placing them further away from off-road obstacles, while the non-Trailhawk Cherokee (pictured in gray) has its fog lights in the lower fascia. 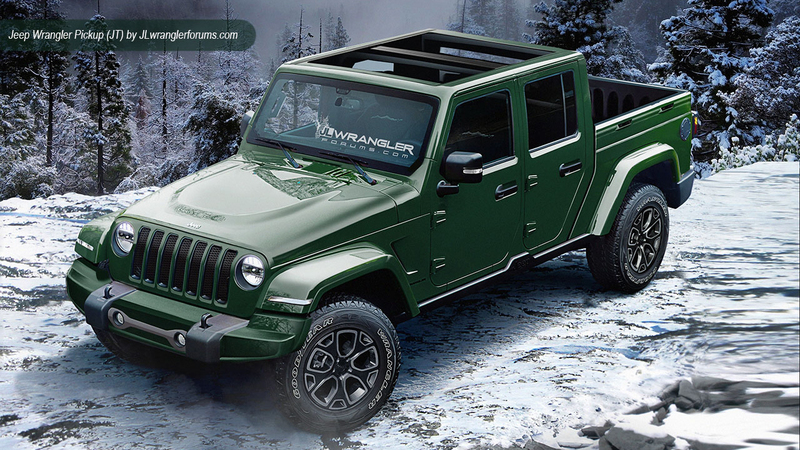 One thing Jeep hasn’t touched is the grille-in-hood design it has going on. 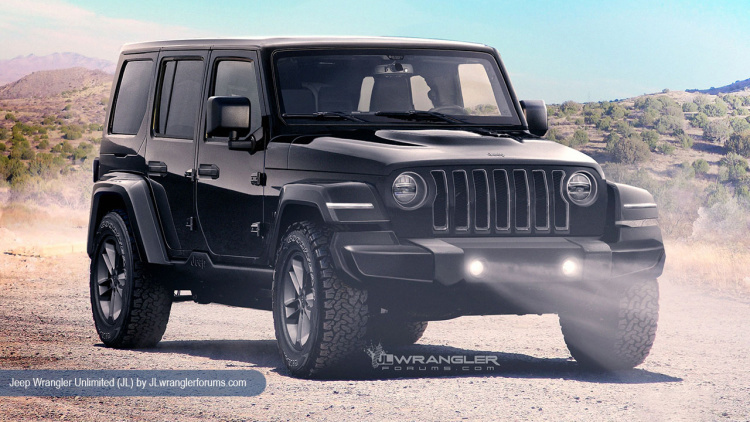 Jeep waited longer than most manufacturers do for a mid-cycle refresh like this one. Out back, Jeep integrated the license plate niche into the tailgate instead of squeezing it in below. A new taillight design helps give the Cherokee a modern and slightly muscular look too. 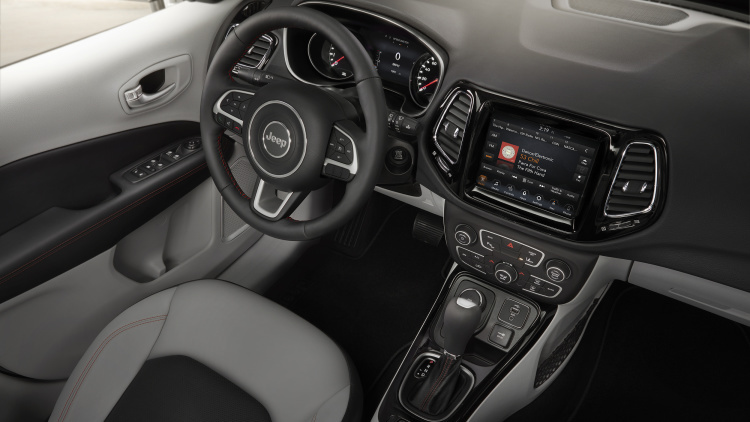 Customers must not have been complaining about the Cherokee’s interior: It carries over almost entirely unchanged beyond a few button modifications. Jeep says it’ll show more fuel-efficient engines for the Cherokee at the NAIAS in January too. 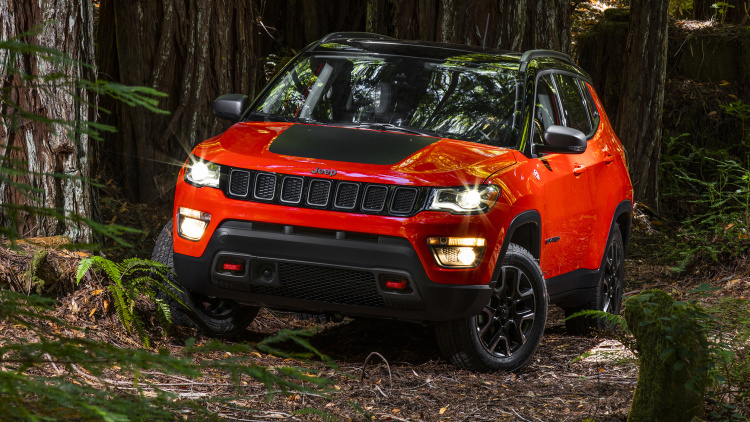 The current Cherokee comes with either a 2.4-liter I4 or a 3.2-liter V6, so we’d expect something small and turbocharged to debut in the 2019 Cherokee when Jeep finally announces it.